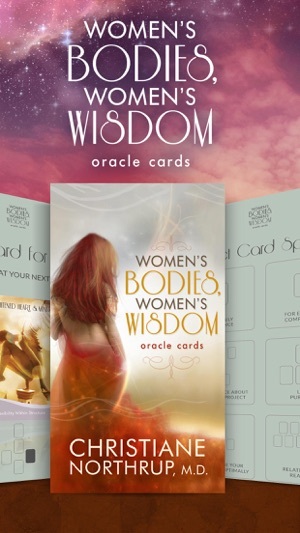 Get a 7-day FREE Trial to Christiane Northrup's Women's Bodies Women's Wisdom Oracle Cards! The Women’s Bodies, Women’s Wisdom Oracle Cards were created by Christiane Northrup, M.D., to help women reach clarity, fulfillment, and success in each of five major life areas: Fertility and Creativity, Partnership, Self-Expression, Self-Care and Nurturance, and the development of an Enlightened Mind and Heart. This beautiful deck includes 50 oracle cards, each with a unique illustration on one side and a detailed explanation of its meaning on the other, and an instruction booklet that offers practical ways to access intuitive, grounded information on a number of issues. In this new edition, artwork from artist Jena DellaGrottaglia lends new energy, and an aesthetic at once fresh and timeless, to this classic set of archetypes and life themes. “True health is only possible when we understand the unity of our minds, emotions, spirits, and physical bodies and stop striving for perfection,” says Dr. Northrup. 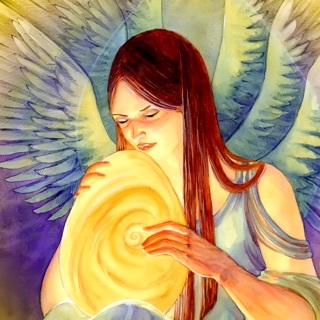 The imagery on these cards is simple, ethereal, and captivating! Artist Jena DellaGrottaglia is seriously talented! 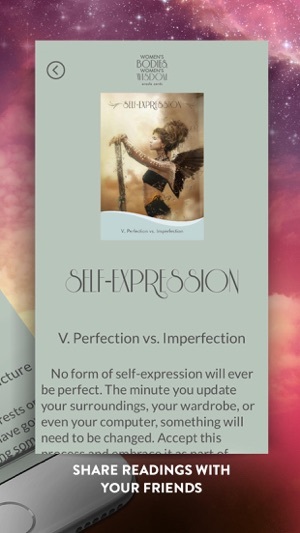 As an oracle card fanatic who owns many decks and apps, I am enjoying this one and its meanings, having never used cards by Dr. Christiane Northrup before. However, I do wish the explanations for each card were more extensive. The readings seem accurate and helpful thus far though. 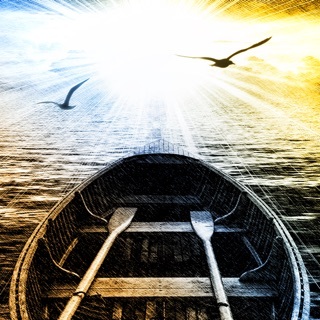 Hi Kuglesnbits, It's great to hear that you're enjoying the app. Thank you, for your feedback. 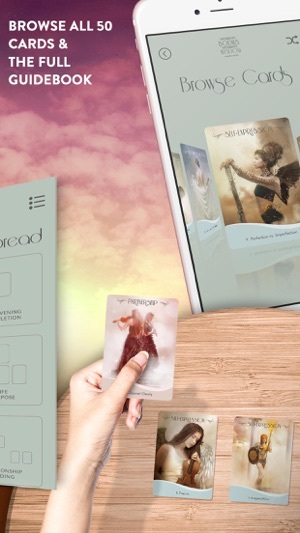 Beautiful cards and readings but clunky app to actually use. Nothing (e.g. 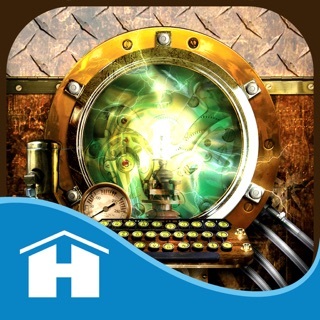 shuffling cards) is a simple automated process, unlike other, similar Hay House apps. The sounds are also quickly annoying. Could all be a lot more polished and it’s a shame because the cards themselves are really nice. Hi Skcbrbbxicnnhd, Thank You for bringing this to our attention. We will make efforts in correcting these issues for a better user experience. I love the design and messages on the cards. It does capture a lot of insights of my current situation and gives me a hope♥️. 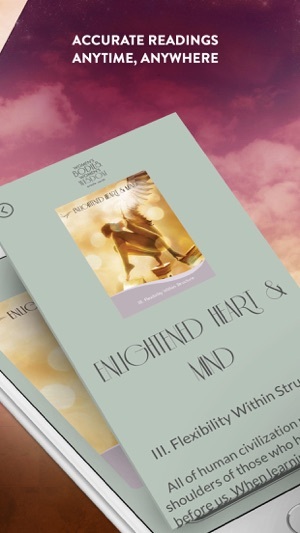 ©2018 by Hay House, Inc. ©2018 Christiane Northrup, M.D.